Bees have ecological importance but they can also create a nuisance to us and our family members. Bees could be dangerous for kids and the old grown people as they have low tolerance ability and cause painful stings. If you detect any beehive near your property, you must get it removed as soon as possible. Before you take measures to remove bees from your property, you must get acquainted with different species of bees and the health issues related to attack/stings. You must also be aware of the measures to protect yourself from bee attacks. If controlling the swarming bees is beyond your capacity, contact the professional Bees Pest Control experts at Enviro Safe Pest Control. 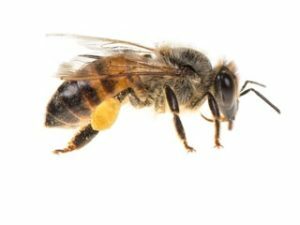 As a trusted and highly experienced, licensed bee control services provider in Melbourne, we take an effective approach to eliminate their presence. What Type Of Bees Can We deal With? How Can We Help You With Bee Control & Removal? At Enviro Safe Pest Control, we are trained to use the right equipment and methods to remove bees from around your home. The method we deploy can vary depending on the size and location of the nest as well as the type of bees present in your property. As a part of our bee control services, we will close up all entry and exit points that the bees take to enter your structure. During the removal process, we use protective gear and equipment to prevent potential injuries. So, if you are having problems with bees, call us right now at 1300 997 272 and let us take care of everything.